Having to take your vehicle in to the shop can be stressful and overwhelming for someone who doesn’t know much about the problem or how to fix it. What can make this worse is that often times, you can end up paying far more money for work that was not necessarily needed. To help you avoid some of this stress the next time you have to take your vehicle in, make sure to take note of these three things you didn’t know about car repairs. Always double-check your vehicles warranty before taking your car in for repairs. Different parts of your vehicle will be under warranty for different amounts of time. Some of these parts typically carry a very long warranty, even if the rest of your warranty has expired, and in many cases, will be replaceable at no charge. Utilizing your warranty can save you a lot of money, and you know their mechanics are experts on your make of vehicle. Unfortunately, people taking their cars in for repairs are often mislead to believe that their car is in need of more repairs than they originally thought, and that the repairs are serious, and need to be dealt with immediately. However, these are often scare tactics, used to build up a sale. For someone who does not know much about cars, hearing that “you need this flushed, and that rotated, and that it needs to be done before you drive another mile”, can be intimidating, and often gets people to agree to extra work that is unnecessary. It is important to look over your vehicles manual, and consult your dealership if necessary, so you are aware of different terms and procedures. This will help you recognize and be able to turn down additional repairs that may be suggested to you, and ultimately reduce the costs of repair. 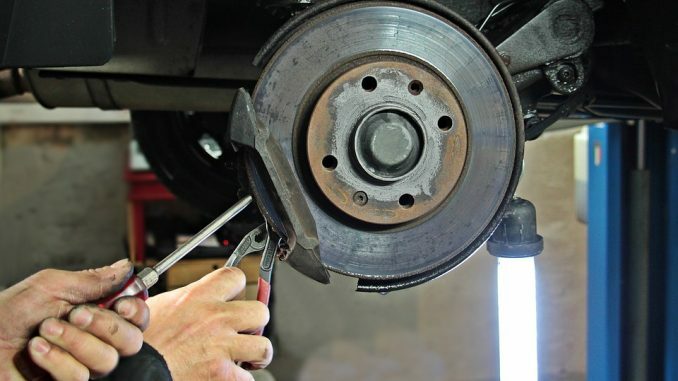 While many mechanical shops advertise that they can work on any vehicle, with any problem, it is important that you do your research and find a shop that has reputable history for the type of repair you need. Quality shops will have a process or pre-established steps for auto repair. Many shops specialize in certain areas, and this is important to take into consideration. You wouldn’t take your vehicle to a Muffler Shop for an engine problem, would you? Ask questions, ask how many years they’ve been in business, ask what type of equipment they use and have access to, ask the community for recommendations, and ask your dealership. Having something done properly the first time will save you a lot of money in the long run. As unnerving as having troubles with your vehicle can be, and how stressful and intimidating dealing with auto repair shops can be, there are steps you can take to help yourself avoid overpaying, and have a better understand of what is best for you and your vehicle. These three things you didn’t know about car repairs are things everyone should take into consideration when dealing with vehicle repair shops. Why Should I Bother Filling Out The Census? How Does Having A Criminal Record Affect My Immigration to Canada?